Last night, the city of Boston participated in Earth Hour 2009, a one-hour worldwide event in which people were encouraged to turn out their lights for one hour (8:30-9:30) in support of combating global warming. 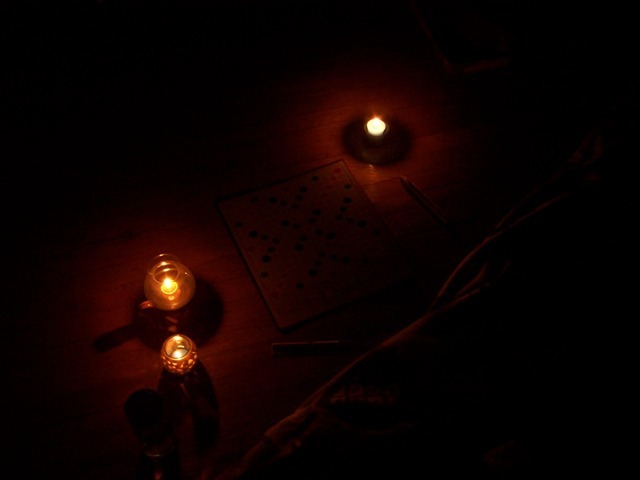 Hanna and I spent our hour of ecological friendliness playing scrabble by candlelight. Hanna won infinity points for spelling “Ianto” on the board and thus won the game hands down.